Keep your hands warm while using your phone! Keep your hands and fingers warm while you stay "in touch" with the rest of the world! 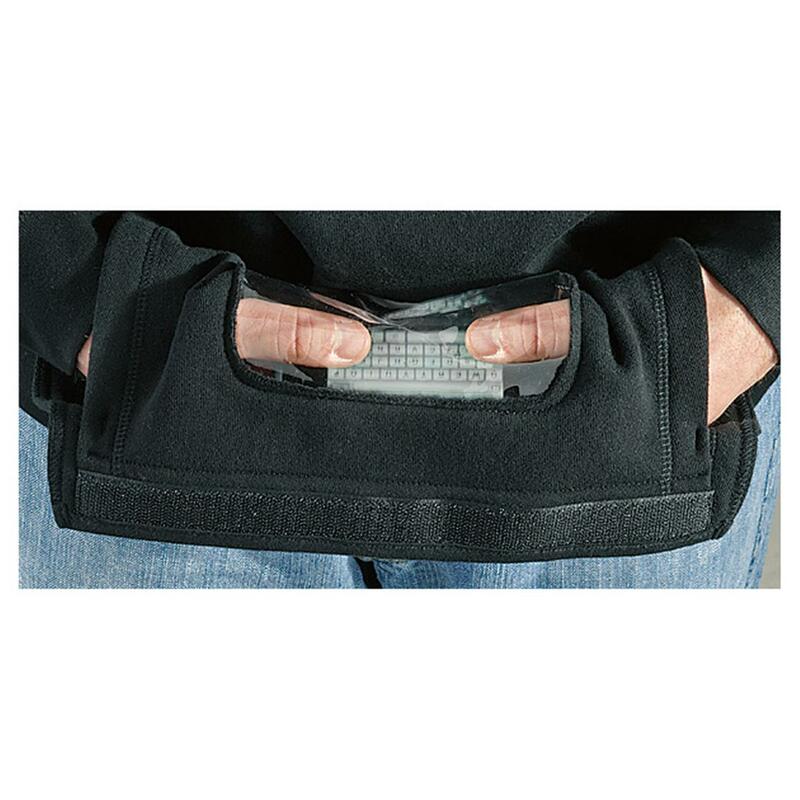 Hoodie's kangaroo pocket flips open to display TextPac, the specially-engineered window that lets you see your phone, iPod® or GPS device without exposing your hands to wind, ice, snow and other harsh realities. Hot Shot Bone collector logo on front. The drawstring hood will keeps your head and ears warm on the coldest of winter days, and the rib-knit cuffs will keep out the wind. 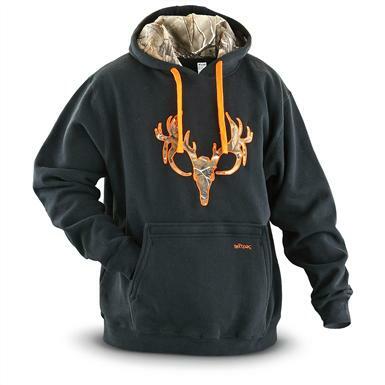 The hoodie is easily washed and dried when needed by machine. Get your warm hoodie today!